AVI Converter, Converter WMV to AVI, Converter MP4 to AVI, Converter DVD to AVI. AVI is compatible with many existing video editing and playback software, so it’s still very popular today. Any Video Converter can convert DV, FLV, AVI, ASF, VOB, RMVB, MKV and many other video formats to AVI files. With Any Video Converter, you can expand the video resources for editing and entertainment. Specializing in AVI conversion, AVI Video Converter can convert AVI to other formats like a piece of cake! You can preview the movie before converting, extract audio from video and convert video to all popular audio, clip any movie segment, snapshot the images in preview, customize the output effect, automatically shut down the computer after converting finished, convert files in batches, etc. AVI is not suitable for streaming videos, but you can now download and convert online videos to AVI for usage in local computers. With the YouTube Downloader and Converter of Any Video Converter, you can easily download and convert YouTube videos and Google videos to AVI files. Any Video Converter can also convert all supported formats to MP4 videos for Zune, PSP, iPod, Apple TV and 3G cell phones. Other output video formats also include MPEG-1, MPEG-2, WMV, FLV and MP3. 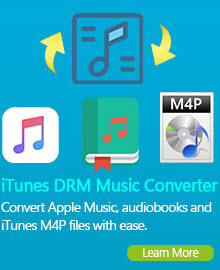 With Any Video Converter, it’s easy to convert AVI files to MP4 format. The converted MP4 files can be customized for portable media players and cell phones. You can convert AVI to MP4 for iPod, PSP, Nokia mobile phones, BlackBerry, ZTE Anthem 4G, mobile phone, Roku player, ZTE Grand S, Pocket PC, Sony Xperia Z and other media players and cell phones that support MP4 videos. Zune media players can playback both MP4 and WMV videos. With Any Video Converter, you can convert AVI, MPEG, FLV, VOB, RMVB and other video formats to both MP4 and WMV formats. If you want to convert movies for Xbox, which natively supports WMV, you can convert AVI to custom WMV files. Any Video Converter can convert QuickTime movies (MOV) to AVI videos. The QuickTime (.mov) file format functions as a multimedia container file that contains one or more tracks, each of which stores a particular type of data: audio, video, effects, or text. Tracks are maintained in a hierarchal data structure consisting of objects called atoms. How to convert YouTube Videos to AVI? YouTube videos require FLV player to playback the videos. If you download YouTube videos to be watched on local computers, a better way is to convert YouTube FLV videos to AVI format. The later one is supported by common media players like Windows Media Player, Real Player, Winamp and others. Any Video Converter does great job in converting YouTube videos to AVI format. You can create custom AVI profile, too. Any DVD Converter provides five types of video codecs for converting supported videos to AVI profiles, xvid, MPEG-1, MPEG-2, MPEG-4 and X264. Frame rate ranges from 10, 12, 15, and 25 to 29.970. 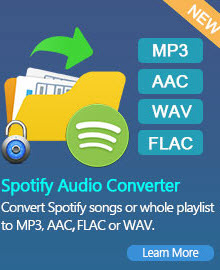 Audio codecs selectable for converting DVD to AVI include MP3, AC3, AAC and MP2. Are you looking for an AVI player to play the AVI file? Just try this Free AVI Video Player.